Big massive humongous shoutout to Hannah Reads Books for helping me organise such an amazing event! Unfortunately she is having blog problems and couldn't be a part! Our fifth stop for the Romancing YA event, on this blog, is Melissa Landers! Today I was lucky enough to have a quick chat with author Melissa Landers about all things romance! 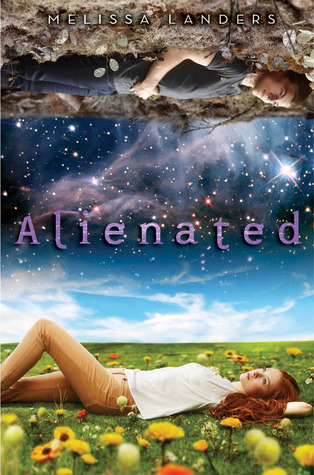 1) What inspired you to write Alienated? It was October 2009, and I had decided to participate in NaNoWriMo (National Novel Writing Month). While brainstorming plots, several story ideas came to me, but I dismissed them because they were boring or they'd been done before. Then out of nowhere, I thought "What if a high school senior had to host an alien exchange student?" BAM! I fell in love with the idea, and the rest is history. 2) Can you tell me a bit about the romance between Cara and Aelyx? It's definitely a slow burn between these two, which is understandable considering they come from different worlds. They get off to a rough start, and then slowly become friends. The romantic feelings develop AFTER they learn mutual respect. 3) Do you think your romance, between human and alien, was easier or harder to write than a normal contemporary romance? Why? Human-alien romance is definitely harder. There aren't as many natural obstacles to friendship or intimacy when two people share the same culture. 4) Do you believe in love at first sight? Synopsis: Two years ago, the aliens made contact. Now Cara Sweeney is going to be sharing a bathroom with one of them. Melissa Landers is a former teacher who left the classroom to pursue other worlds. A proud sci-fi geek, she isn’t afraid to wear her Princess Leia costume in public—just ask her husband and three kids. She lives just outside Cincinnati and writes adult contemporary romance as Macy Beckett. Definitely a witch, or a vampire, but Melissa Landers' alien sounds awesome too!! The book sounds like it touches on a whole lot of important themes, like understanding and accepting others, giving people unlike you a chance. Have to be an Angel. I'd be pretty cautious about falling in love with any paranormals. Love's tricky enough with your own species. Then again, sometimes it's not up to us who we fall in love with. Still, I'd be careful. An angel or a hot alien like from the new show StarCrossed on the CW. Oh man. Haha, thanks for the chance to win! A demon or a vampire from Kresley Cole's Immortals After Dark series. OMG, I am dying to read this book! Wizard or vamp? Lol...no idea. Probably vampire or a hot alien. :) Thanks for a giveaway! Either a vampire or a siren.